Describe the details of the available menu for your wedding ceremony and show the new couples meals in attractive two sided cards. 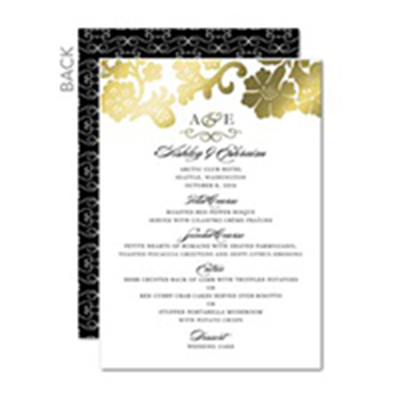 Product Information: Our two sided wedding menu cards are printed, finished and sealed with the greatest perfection. Be assured that your menus are printed in the highest quality and delivered in perfect condition. Pricing: starting at N6,450 for 100 copies.